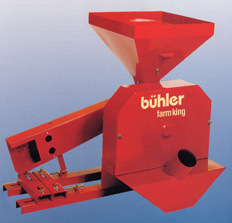 The Buhler Hammermill is able to grind 75 bushels per hour. Comes with an adjustable motor. Compact design makes the hammermill easy to move. Made from high quality carbon steel for extra-long life. Long battery life with no toxic fumes and very quiet. 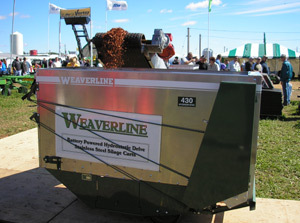 Fast feeding - Unload a 30 bushel cart full of corn silage in 35 seconds. Hydrostatic drive - one fingertip control lets you select any travelling speed in either forward or reverse. 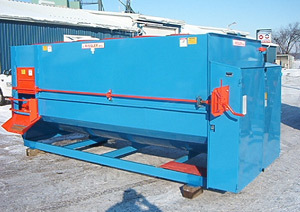 Options include: front and side unloading, high discharge box, and extension side kit and varying capacities.